You will be aware from previous correspondence that the governing body of Hartford CE High School has been reviewing its options regarding the potential of joining a Multi Academy Trust (MAT). In response to the Government's recent review of post-16 provision nationally, Sir John Deane's Sixth Form College decided to take the opportunity to become an academy and chose to set up the Sir John Brunner Foundation MAT. In doing so it sought potential partners. Hartford has always enjoyed a strong working partnership in the very best interests of our students with Sir John Deane’s, many of whom transition there at the start of Year 12. That transition is made more straightforward because we have shared values and shared approaches to teaching and learning that achieve high academic outcomes, alongside varied and enriching extra-curricular activities. It has therefore become a logical next step for our school to pursue the possibility of affirming this partnership in a legally binding, strong and financially resilient MAT, which will provide excellent education for all Northwich learners, ready to welcome other academies into our Trust if they share our values. Consequently, Hartford CE High School is now formally consulting upon joining Sir John Deane's Sixth Form College in The Sir John Brunner Foundation. The consultation opens on Monday 11th February, for 4 weeks, (not including half term), closing Friday, 15th March 2019. 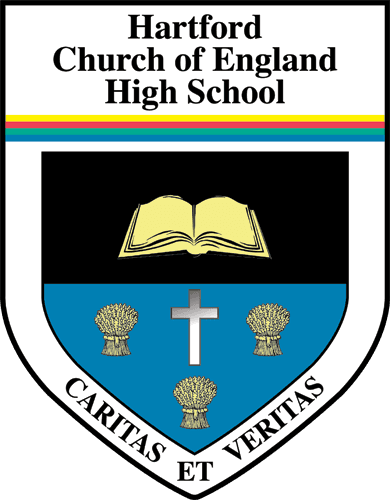 You are welcome to submit comments and views by email to consultation@hartfordhigh.co.uk or by post to Consultation, Hartford Church of England High School, Hartford Campus, Chester Road, Northwich CW8 1LH. There will also be a drop-in session for parents/carers, friends and stakeholders of the school on Tuesday, 26th February 2019, between 5pm and 7pm when Governors, the Head and Senior Leaders will be available to answer any questions you may have.